In Calor Village of the Year Competition! 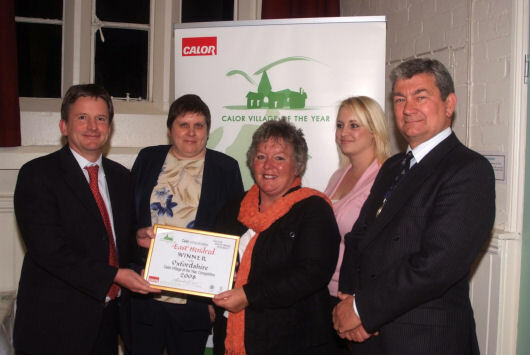 Calor Village of the Year Competition 2009. Along with some strong opponents from around the Vale, EHE put on an exhibit of many aspects of life in East Hendred, including organisations and amenities, entertainment, local businesses and attractive local views. 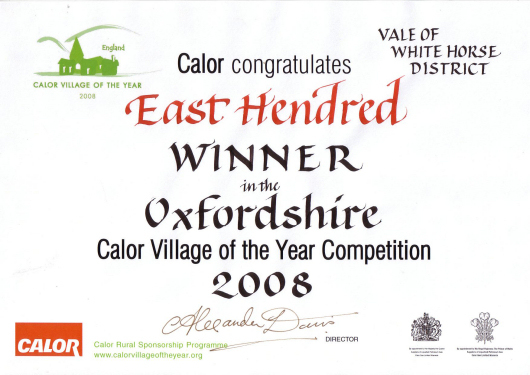 The competition is organised by the Oxfordshire Rural Community Council and has taken the place of the highly popular Best Kept Village Competition. 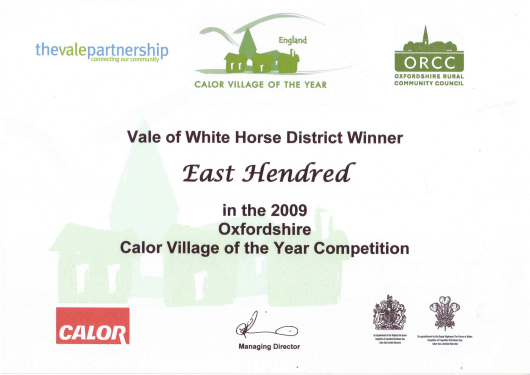 A you can see from the certificates below, East Hendred was the Vale winner in 2008 and was highly commended for communication in 2007. Congratulations to all who help to make our village as fine as it is, and thanks to the team who represented us in such a positive way.